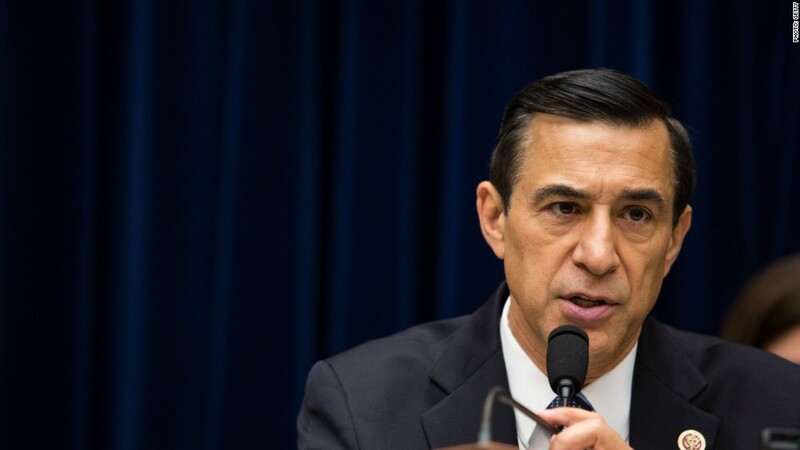 America's poor are much better off than the underprivileged in other parts of the world, Congressman Darrell Issa insisted again on Tuesday. The wealthiest member of Congress defended this position in an op-ed in The Hill after he was met with a slew of criticism for telling CNNMoney's Cristina Alesci that America's poor are "the envy of the world." "If you go to India or you go to any number of other Third World countries, you have two problems: You have greater inequality of income and wealth. You also have less opportunity for people to rise from the have not to the have," he told CNNMoney recently. Of note, he said, is the quality of life that is afforded poor Americans. The median poor family with children in the United States lives in an air-conditioned home with three color televisions, cable or satellite TV, a DVD player, a video game system and a computer, as well as a refrigerator, an oven, a microwave, and a coffee maker, Issa wrote citing data from the U.S. Department of Energy. Almost 75% own a car or truck and about a third have two or more. Some 42% own their home. Related: Are you poor if you have a flat-screen TV? And those homes are bigger. The average poor American lives in a 1,400-square-foot home, according to a 2011 Heritage Foundation report. That compares to 857-square-feet that the average European (of any income level) inhabits. "We see that poverty in America looks nothing like the dramatic pictures of homelessness that conspicuously adorn nearly every commentary on income inequality," wrote Issa, whose net worth of $448.4 million stems from a car alarm business he built. America's poor have seen their lot steadily improve as well, Issa wrote. In 1970, only 36% of all Americans had air conditioning. Today, 80% of poor residents have it. The number of poor Americans with a computer jumped to 50% in 2009, up from 38% in 2005, according to Heritage. Americans also experience a lot of changes in income. The Top 75% of earners one year are different than those in that bracket a decade later. What makes America unique is "a deeply embedded realization that with hard work, anybody can become the next American success story," he wrote. Still, Issa wrote, he feels the nation can do better on income inequality. "But we cannot hope to improve if we cannot take honest stock of what has worked and what has not without resorting to character assassination and dishonest exaggeration."